PAT Testing - Local & National Electrician, Electrical Contractor, Electrician In - Stirling, Alloa, Falkirk, Glasgow, Edinburgh, Scotland. Stirling Electrical Services are one of Scotland's leading Portable Appliance Testing specialists with over 25 years experience in the PAT Testing industry. 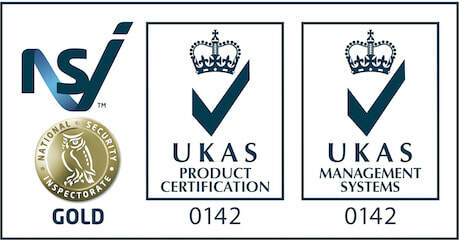 Our high standard PAT Testing service is available to clients throughout Scotland at very competitive prices. You will find detailed information below about PAT testing and our service, as well as answers to frequently asked questions about PAT testing. How Do I Book A PAT Test? Call our trained job booking team on 01786 813916, or use our online booking / enquiry form. It would be useful to have to hand the location, approximate number of appliances and whether Stirling Electrical Services have previously tested the premises. How Do I Get A Quote / Estimate For My Premises? Call our trained job booking team on 01786 813916, or use our online booking / enquiry form. It would be useful to have to hand the location, approximate number of appliances and whether Stirling Electrical Services have previously tested the premises. Our job booking team will then be able to provide you with a price for the amount of appliances you have stated to us. What Are Portable Electrical Appliances? Portable Electrical Appliances include any electrical equipment connected to a 240 / 110 volt supply socket. In most cases it is equipment that is plugged into a 13 amp electrical socket outlet. Any appliances on your premises that can be used by employers, employees, customers or the public must be maintained in a safe condition. Examples of portable appliances include computers and their accessories, photocopiers, printers, heaters, televisions, VCRs, hairdryers, food mixers, kettles, cleaners, fans, drills, work tools, fridge / freezers and extension leads. Any electrical appliances connected to a plug needs to be maintained in a good safe working order, even if you cannot physically move the appliance. What Types Of Premises Require PAT Testing? Do you own, manage or work in any of the environments below? If so then its a legal requirement that all electrical portable appliances are maintained in a good safe working order. The Law requires that electrical equipment at work be maintained in a good safe working order. Portable Appliance Testing is the most common way of complying with the regulations outlined in the following sections. Portable Electrical Appliance Testing was introduced so that all places of work and accommodation, large or small, conform with the Electricity At Work Regulations, introduced in April 1990 under The Health And Safety At Work Act 1974. Portable Appliance Testing (commonly referred to as PAT testing) is an important part of any health & safety policy. The Health & Safety Executive statistics show that 25% of all reportable electrical accidents involve portable appliances. The Electricity at Work Regulations place a legal responsibility on employers, employees and self-employed persons to comply with the provisions of the regulations and take reasonably practicable steps to ensure that no danger results from the use of such equipment. This in effect requires the implementation of a systematic and regular program of maintenance, inspection and testing. Where the public may use appliances in establishments such as hospitals, schools, hotels, shops etc. The Legal Requirements for the Inspection and Testing of Portable Electrical Appliances. The Provision and Use of Work Equipment Regulations 1998 state: "Every employer shall ensure that work equipment is so constructed or adapted as to be suitable for which it is provided." The PUWER 1998 covers most risks that can result from using work equipment. With respect to risks from electricity, compliance with the Electricity at Work Regulations 1989 is likely to achieve compliance with the PUWER 1998. The Electricity at Work Regulations 1989 state: "All systems shall at all times be of such construction as to prevent, so far as reasonably practicable, such danger." As may be necessary to prevent danger, all systems shall be maintained so as to prevent, so far as reasonably practicable, such danger." "System" means an electrical system in which all the electrical equipment is, or may be, electrically connected to a common source of electrical energy and includes such source and such equipment"
"Electrical Equipment" includes anything used, intended to be used or installed for use, to generate, provide, transmit, transform, rectify, convert, conduct, distribute, control, store, measure or use electrical energy." What dangers could occur in portable appliances? From experience, appliances in the workplace are often found to have the wrong fuse rating inside the plug top. This can result in appliances failing to automatically switch off if a fault occurs. Dangerous and lethal wires in the plug top and in the flex may be exposed, frayed or not tightened to the connections properly, putting users and premises at risk of electric shocks and fires. Many appliances have metal casing which relies on an essential connection between the outer casing and the earth connection in the wall socket. Experience has shown that the earth connection is often incorrectly connected or broken. This means that the appliance is not earthed and can result in a major electric shock to the user should a fault occur. It is important that a system of regular inspection and maintenance is employed to reduce the risk. Every portable appliance tested by Stirling Electrical Services is visually inspected to check the plug, flex and body of the appliance. In this visual inspection we will investigate for damaged equipment, frayed flex cords and/or flex cords taped up to cover unauthorised joints, flex wiring pulled away and exposed from the internal casing of the plug, signs of overheating on the flex and internal wiring inside the plug, cracked and damaged plugs including loose and faulty wiring connections inside the plug. A high number of appliances fail this visual inspection due to having the wrong type of fuse in the plug, loose plug connections, exposed wiring at the plug and damaged plugs. As part of our service, minor repairs such as above will be repaired free of charge, thus allowing the appliance to pass the visual inspection. Only when we are satisfied that the equipment has passed the visual inspection, a series of tests using the latest state-of-the-art computer testing equipment are carried out to detect hidden faults and potential hazards. This ensures the electrical safety and good working order of each item. Computerised and industry set tests are carried out using Portable Appliance Testing equipment similar to the tester pictured above. In the testing procedure we will carry out the following tests. Earth Bond Test - Tests the metal casing of equipment to confirm the integrity of the appliance earth conductor. A high A.C. current of 10amp or 25amp is passed between the earth bond terminal and the appliance's earth pin. Earth Continuity Test - When testing IT Equipment - e.g. computers in offices, it is undesirable to use the high current Earth Bond Test described above as this could damage the equipment. On IT equipment our testing procedure would involve testing the equipment with a low current earth continuity test. A low current (200 mA D.C.) is passed between the continuity terminal on the testing equipment and the appliance's test socket earth pin. Insulation Test - An insulation test is carried out on all equipment to verify that the insulation resistance is correct and sufficient between the appliance wiring and internal components. In this test a 500 volt D.C. supply is used to test the insulation resistance. Operation Test - This test will start up the equipment being tested as if it were normally plugged into a 13 amp socket outlet. By doing this test we will be verifying the power consumed by the appliance, which we will check against the manufacturers rating which is stamped on the appliance. This will also determine if the correct size of fuse is inserted in the plug top. Earth Leakage Test - By carrying out the Operation Test we will also find out if any electrical current is flowing to earth. Normally appliances should have no or very little earth leakage current. The appliance tester will also be able to detect earth leakage in Class 2 (Double Insulated) appliances. This enable account to be taken of all leakage paths to earth rather than just that flowing in the earth wire if applicable - e.g. a Class 2 appliance could exhibit earth leakage through its mountings or by operator contact. Flash Test - This test ( Dielectric Strength Test) is very rarely carried out and it is not normally carried out as routine test. The test stresses the asset insulation. This test is usually only carried out if the appliance has been completely overhauled and is being put back into working service. Both visual inspections and instrument tests are carried out in accordance with guidelines and testing procedures laid down by the IEE Code of Practice for Inspecting and Testing of Electrical Equipment. Following testing, each appliance will be labelled "PASS" or "FAIL" and we will provide you with a detailed computer-produced electrical test certificate and a full register of your appliances. These may be used for your own and for your insurer’s records. For a small additional fee a computer based programme with the test results on CD can be produced for your purposes in addition to the paperback register. Should any electrical accident occur, the test certificate contained in the logbook, which is produced by Stirling Electrical Services is vital evidence that you fulfilled your duty to prevent electrical accidents. Remember Electrical Appliances should be tested regularly. In most cases it is sufficient to test appliances annually. Work is carried out by a qualified experienced electricians, trained and experienced in Portable Appliance Testing. After the first inspection and testing, Stirling Electrical Services will contact the client shortly before their next test due date to arrange the next site visit. Some companies like to have the ability to easily track their appliance locations and also have the piece of mind that their appliances have extra security protection. That is why Stirling Electrical Services also provide an optional Barcode Labelling system on appliances in addition to the standard Pass or Fail Labels. When you take out insurance cover, insurance companies often assume that the insured business/premises is complying with all relevant regulations. If any claim is made throughout your insurance period the insurance company may reduce, delay, or even refuse to pay on any claim for damage, if the damage has been caused by an appliance that has not been properly maintained and/or it can be proven that the duty holder did not take reasonable steps to ensure safety. Stirling Electrical Services have teamed up with The University of Stirling Residential Services Office to offer special discounted rates for the inspection and testing of portable electrical appliances that students bring with them from home into the University. We carry out the inspection and testing of students own appliances brought into the halls of residence, both at The University of Stirling and at residences outwith the campus. We can even test the appliances at our premises in Fallin, if you prefer to bring them to us. More information can be found on our PAT Testing for Students page. We charge for PAT Testing in bands based on 15 items per band and also depending on the distance from our base in Stirling. Our pricing scale is competitive and is straightforward and takes into account the number of appliances to be inspected and tested from 1 to thousands of appliances. Repairs other than minor repairs will be reported to our client business manager. No larger repairs on appliances will be carried out on appliances without agreement and price agreement from the business manager. We can also provide all your premises test results on a computer disk and email. We also offer a while you wait PAT Testing service at our premises in Fallin. This service is only available for clients with 15 items or less and the client must drop off their appliances to us. If you would like to take advantage of this service please either phone our job booking team on 01786 813916 or book online to arrange a convenient time for your appliances to be dropped off at our premises (view our address & map ). Please Note - As from 28th May 2013 we have introduced a new policy regarding electrical reports/certificates. If the work/testing we do for you requires a report/certificate to be produced then these documents will only be forwarded to you when we have received cleared funds/payment for the work carried out. Unfortunately incidents of customers receiving reports/certificates and then not paying for the work has resulted in us introducing this new policy. Speak to our job booking team if you require anymore info on this new policy. Visit http://www.pat-testing.info for further independant information on PAT Testing and the relevant legal responsibilities.